The AC Voltage Test Set T 22/1 is a portable test set consisting of two separate units: the control unit and the high-voltage unit. This division enables the operator to use the test set on site without transport aids. 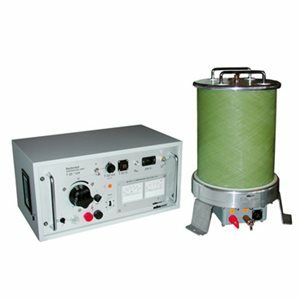 The test set can be equipped with a rectifier attachment for DC voltage testing up to 80 kV.